Eight out of ten people struggle with back pain according to the US National Library of Medicine. One of the most common issues is obesity that adds weight to the spinal column, joints. The body has to walk with an abnormal gate to compensate for the weight that it is carrying. 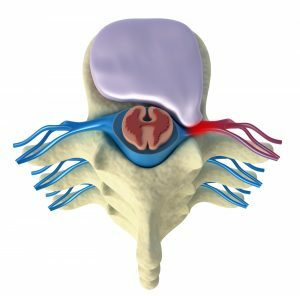 This places unusual stress on the spinal joints. As a result, the muscles, discs and nerves around and in the spinal column are overworked and the individual develops back pain. The American Board of Obesity Medicine has stated that individuals who are classified as overweight or obese are more likely to experience back pain than those who are not obese. Obesity makes it harder for people to engage in physical activity and exercise that may assist in loosing weight and assisting in developing muscle to increase strengthening of the body for everyday enjoyment of body movement without pain. Strengthening the bodies core is essential to having a proper upright posture. According to the American Spine Society, individuals who stay within 10 pounds of their ideal weight are the ones least likely to experience spinal problems, particularly chronic lower back pain. The associated pain from excess weight compounds and manifests itself so that even depression can often set in. 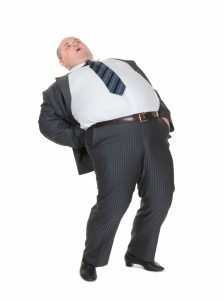 The obese person then feels a sense of hopelessness and even justifies not exercising. A chiropractor can aid the pain in the back with adjustments and can offer dietary measures to help recovery with weight loss. Numerous practitioners have notices significant reduction in pain after extra weight loss has occurred. Significant weight loss reduces the extra weight on the spine and joints which offers more mobility. The fat content in muscle and around the organs is reduces allowing more efficient and effective movement. Long term health improvements can be realized just by dropping weight. Better posture and overall well being can be realized along with a happier state of mind. You can receive some excellent pointers on weight loss and exercise if you speak to your chiropractor or physiotherapist. Dr. Caulfield, a Surrey Chiropractor has been treating patients for over 20 years and can offer help with weight and posture in your time of need.